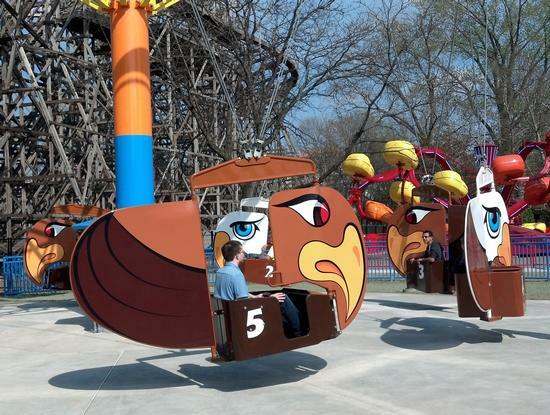 Lake Erie Eagles is a spinner in Gemini Midway at Cedar Point. It's worth seeing on a time-permitting basis. A flying scooter ride by Larson International. Eight cars painted like giant eagles can hold one person comfortably or two people cozily, and a large rudder on the front of the car allows riders to control the flight of their "eagle" as it spins around the central tower.